Long bets have always fascinated me. I considered BMW’s long bet while driving the i3 recently. The car’s dynamics such as acceleration and handling are in a different league from the Prius, which I have sampled as a rental and taxi mule. Crucially, BMW has preserved their traditional 50/50 weight distribution. The car seemed to be well built, though it does exhibit a few “1.0” indicators *. 1. 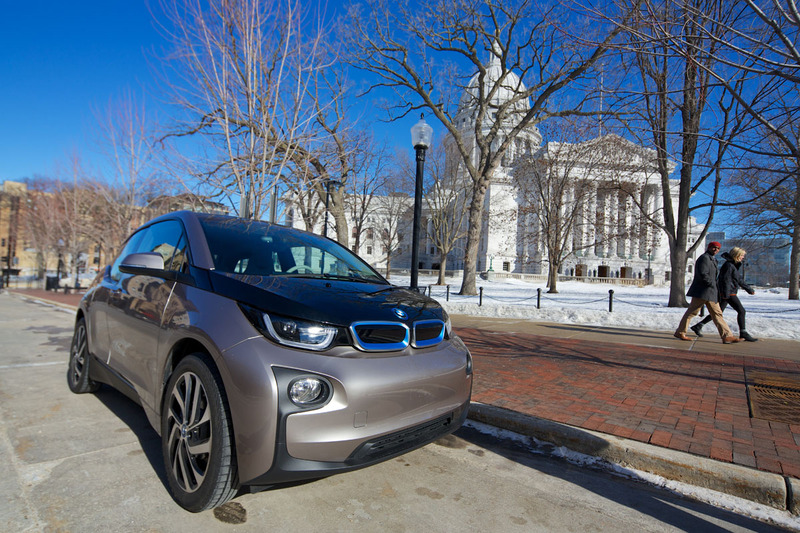 Composites: SAE International and Composite world’s look at the i3 are worth reading. 2. Modular construction: “Life” and “Drive” modules and production process videos: part 1, 2 and 3. The conception, gestation and launch of BMW’s i models (i3 and i8 have been announced) represents a rather radical change in design and manufacturing from the legacy 1,2,3,4,5,6,7, M and X models. Such initiatives require consistent leadership, vision, great people, capital and ultimately a successful business model. The transition to modular cars and changing customer experiences will not be simple for the traditional manufacturers. Much as the Apple Store redefined the retail experience, Tesla’s direct sales model and the looming growth of car sharing services will ultimately force BMW and others to rethink their traditional dealer franchise business. That is a tall task. 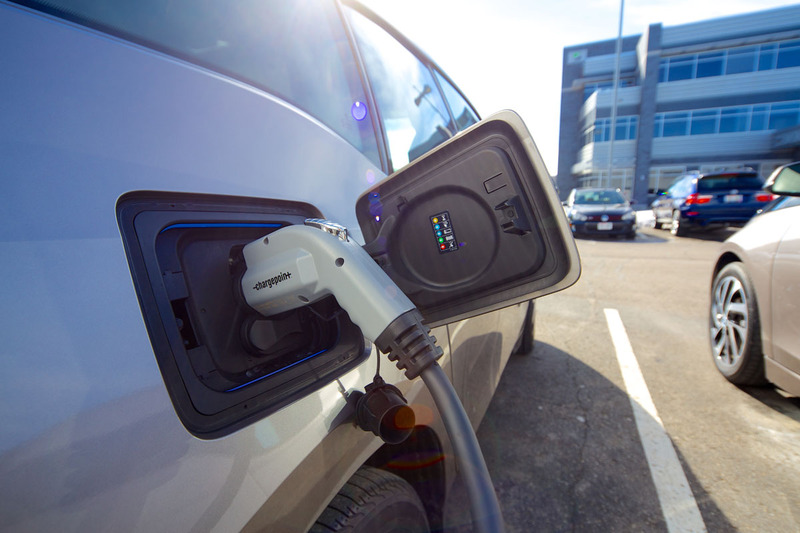 That said, some traditional dealers may see the writing on the wall, particularly the implications for their service and parts revenues that simplified e-vehicles hold. Perhaps it was the Prius that spurred BMW to launch the i models. Maybe Tesla. Possibly cultural changes such as the growing organic food movement, urbanization and the decline in driving. Nevertheless, the scope and scale of the i project is impressive. I did not have an opportunity to try the i3’s iPhone (and Google Play) app. 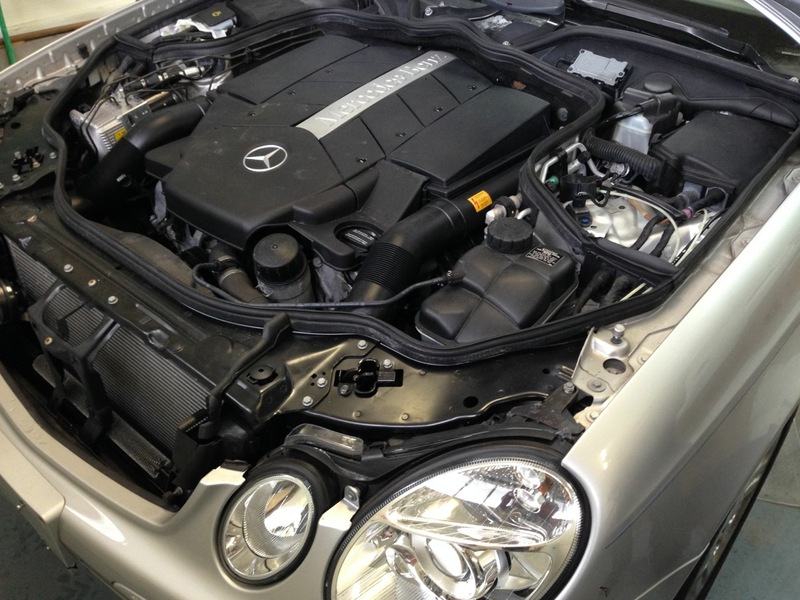 Ideally, the owner should be able to operate all aspects of the car (short of driving) from the app. Further, the “owner” should be able to download the entire driving and service experience and share that with potential buyers along with service representatives. BMW’s iDrive joins the i3 party. The interior materials and finish are nicely done and I found the front and back entry/exit door design to be interesting. I then turned my attention to the driver interface. One can imagine the planning meetings where a variety of interior experience scenarios were discussed, fought, battled and likely not settled. Ulimately, BMW’s iDrive made the cut, perhaps with blood on the floor, which meant bringing along nearly 15 years worth of evolution (some might say “technical debt“) along with a return to more interface buttons. That just does not seem to fit the i3 ethos, particularly in a car that broke the BMW exterior styling mode. 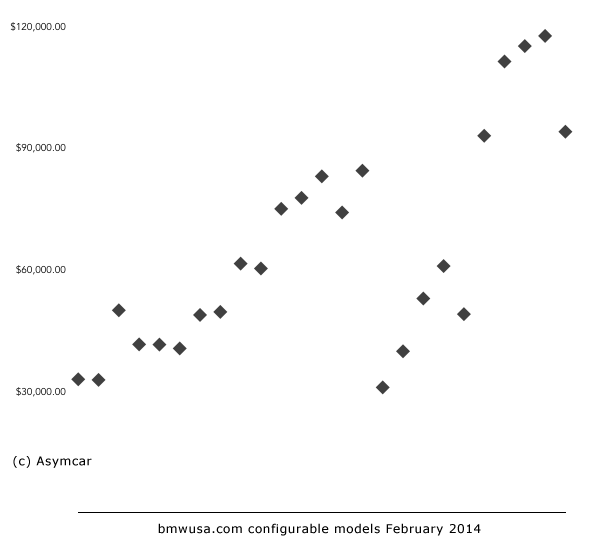 Compare the Tesla Model S (admittedly more money) approach (image) and the i3 (image). I would not be surprised to see a radical change in the 2.0 release. The introduction of a “new new thing” presents the creator with a choice, “burn the ships” or bring along some of what users might have known before. In the i3’s case, I found two choices interesting and perhaps unsurprising. 1. The energy input location mimics legacy petrol and diesel cars. Watching this long bet (7MB PDF) play out will be fascinating and fun. 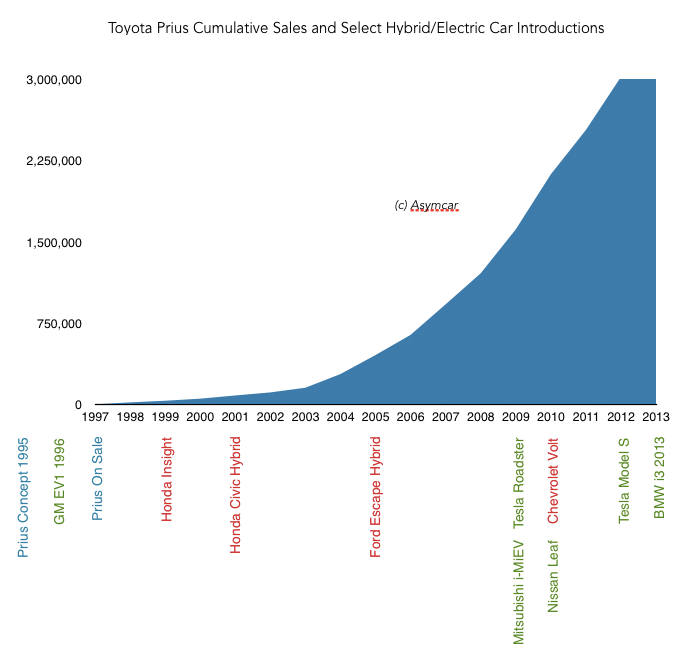 ** Those interested in learning more about the GM EV1 will find Asymcar 8 interesting. This entry was posted in Apps on February 23, 2014 by Jim Zellmer.